Imagine Dragons’ newest album “Origins” contains a diverse set of tracks that highlight the band’s transitory stage into a new style. The much-anticipated release of “Origins” drew all eyes once again on Imagine Dragons. With several hits under their belt such as “Radioactive,” “Believer,” and “Thunder,” Imagine Dragons enjoys its status as a household name amongst pop-rock lovers. As such, it is no surprise that a few of their songs from this album are already widely popular, including “Zero,” which gained fame as part of the soundtrack to the upcoming movie “Ralph Breaks the Internet,” and “Natural,” which was chosen as ESPN’s anthem for the 2018 college football season. Lead singer Dan Reynolds says that “Origins” should be seen as a companion album to the group’s previous release, “Evolve.” While Imagine Dragons’ newest album shares the adventurous experimentation the band channeled into “Evolve,” “Origins” unfortunately lags behind its predecessor in overall stylistic cohesiveness, with “Bullet In A Gun” being by far the worst offender in the album. Random rap lines frame an awkward auto-tuned electronic chorus, and drum-heavy instrumentals make the song seem almost atonal. “Digital” faced similar issues; the chorus contains an exciting drum and bass line, but it sounds painfully edgy when contrasted with its smooth, lyrical verses. On the other hand, Imagine Dragons’ choice to experiment with different sounds produced some great, if not unexpected, works from them. “Zero,” one of the lead tracks of the album, is a peppy tune with the high spirits of a high school garage band. In “West Coast,” Imagine Dragons delves into folk rock, fully capturing the image of a hopeless lover watching the sun set over the rugged Central California coast. Most notable in Imagine Dragons’ excursion into new musical styles, “Love” is a feel-good song featuring a backup choir. The music builds up with more and more singers until everyone is singing in the heartwarming climax. Reynolds shines in this song with his expansive range on full display along with his emotive delivery of the lyrics. As such, this song easily contains some of his best studio vocals to date. Continuing from where they left off in heavily electronic-based “Evolve,” “Origins” also showcases the band’s foray into electronic pop. Were it not for Reynolds’ raspy rocker voice, “Cool Out” with its heavily synthesized background could easily be confused as electronic dance music along the line of the Chainsmokers. “Bad Liar,” one of the more tender songs on the album, has a slow wavering feeling which captures the emotional vulnerability one experiences when they try to hide their pain. A similar effect is used in a more empowering way in “Boomerang,” where the singer is letting go of a past lover. In fact, the final bridge in “Boomerang” contains some floaty, synthesized vocals that represent the fleeting nature of lost love. Despite their shifting style, Imagine Dragons still remembers its roots. “Natural” and “Machine” continue with the signature stomp-and-shout headbanger formula from the band’s “Radioactive” days. “Stuck” is emblematic of Imagine Dragons’ older ballads like “Polaroid.” The vocals in this song faintly lag behind the beat, which is a clever musical interpretation of the singer being “stuck” on old feelings during a breakup. 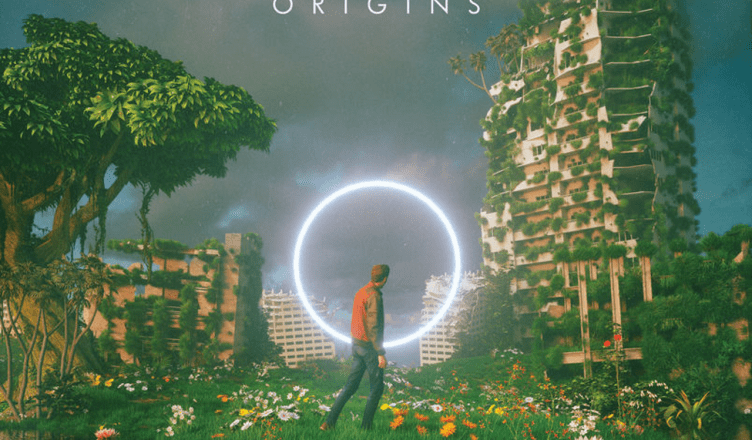 With such an eclectic mixture of musical styles, “Origins” seems to be the band’s attempt at sampling different sounds and deciding what does and doesn’t work. As such, individual songs by themselves are decent, yet one can’t help but feel disoriented by the whirlwind of different music genres flying by when listening to the album all the way through — sometimes even within the span of a single song. Further, Imagine Dragons’ experimentation with innovative sounds is a double-edged sword, creating emotionally-charged songs like “Love” while also falling completely flat with “Bullet In A Gun.” Nonetheless, the band attempts to push the rock scene into uncharted territory by combining rock with various musical styles which, given its notoriety, is quite a noble thing to do. “Origins” is one of Imagine Dragons’ most interesting albums to date. Extremely experimental, this album represents an awkward transition in Imagine Dragons’ musical evolution. Through this album, Imagine Dragons will hopefully decide on what type of sound they want to progress toward.